Rena at Furude Shrine. Rena standing in front of the Furude shrine torii with her billhook.. HD Wallpaper and background images in the Higurashi no Naku Koro ni club tagged: higurashi higurashi no naku koro ni rena furude shrine billhook. 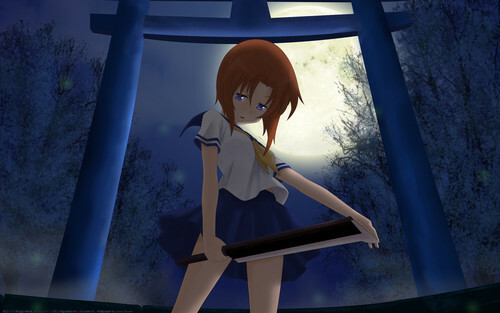 Rena standing in front of the Furude shrine torii with her billhook.